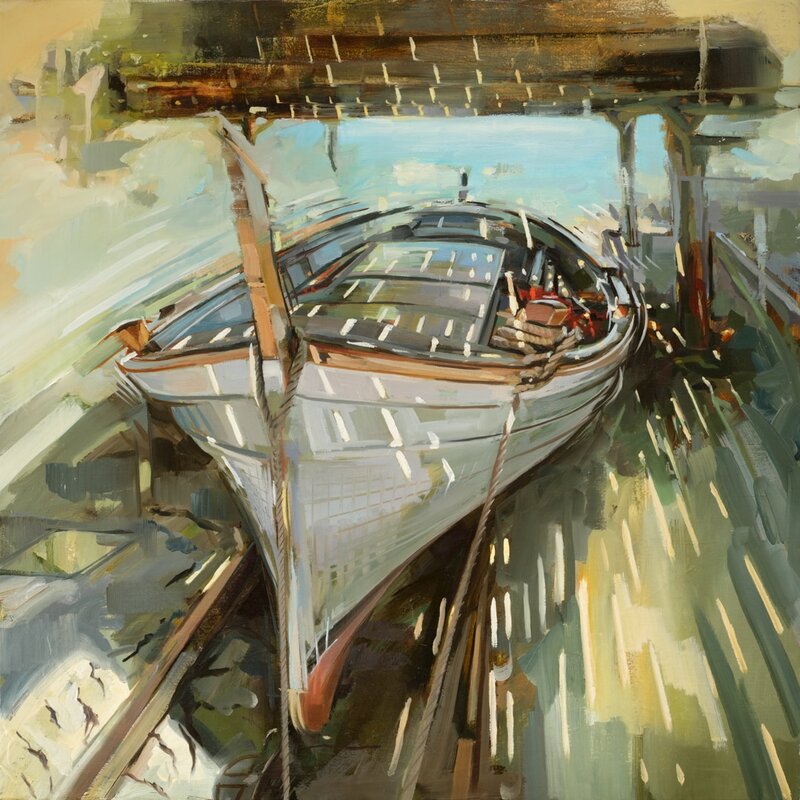 Of course, a beautiful art exhibition that is travel-inspired will be extra dear to me … and this is much the case with Johnny Morant’s upcoming solo show, MARE NOSTRUM, at Rountree Tryon Gallery in London. Johnny’s show – opening on September 26, 2017, and running for two weeks – is based on his five-month jaunt across the Mediterranean last summer and features remarkable oil paintings of the fascinating destinations he visited and the engaging people he encountered. MARE NOSTRUM is a distilled glimpse of Johnny’s trip, full of the nuances noticed when fully immersed in a new area of the world. 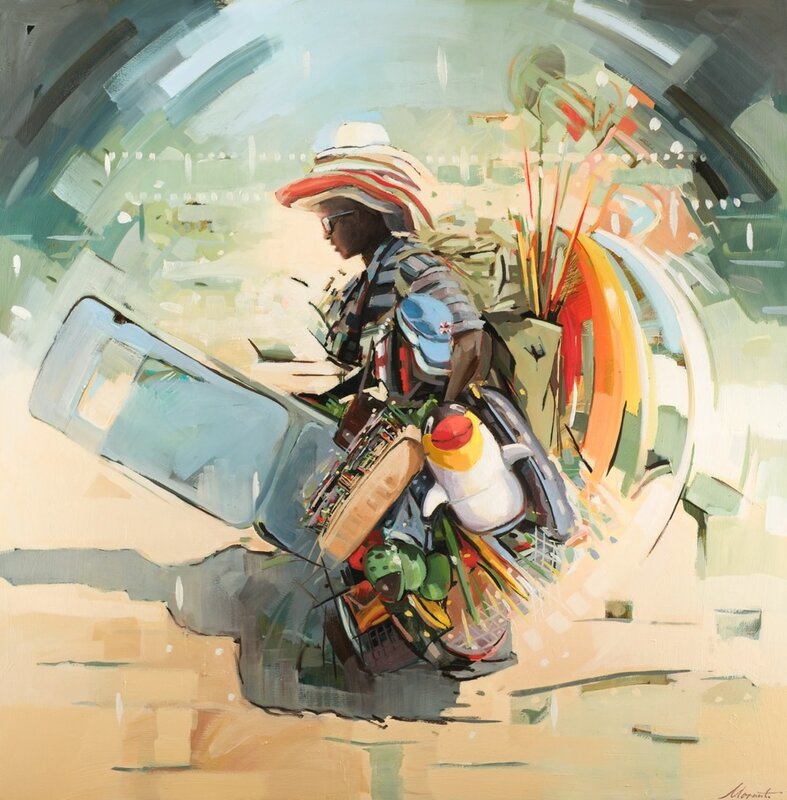 His typical approach of breaking down traditional compositions into fragmented figurative oil paintings lends itself perfectly to the significant and memorable moments in travel that are difficult to convey in words. Johnny’s background is as a contemporary visual artist, trained at school in Bristol and Bournemouth. He has lived in London and Amsterdam and described a collection of his recent work as “playing on the border between clarity and suggestion … prioritizing the intuitive application of paint and aiming to describe the viscosity of light and fragility of form.” His work is included in a growing number of collections, including Smith & Williamson, Standard Chartered Bank, Prudential plc and Old Mutual plc. The September exhibition will be Johnny’s fourth solo show with the Rountree Tryon Gallery, located on Bury St. in St. James’s. To read more about Johnny’s travels, visit his travelogue. To learn more about his work and background, visit his website.